The hit ABC sitcom Black-ish already has a spinoff, Grown-ish, and it may be getting a prequel as well. According to a report from Variety, the network is in the early stages of development for a prequel. An upcoming episode of Black-ish will focus on Rainbow, the family’s matriarch played by Tracee Ellis Ross. It’s set to film next month, and could potentially serve as a backdoor pilot for the prequel in question. Either way, the backdoor pilot format allows ABC to contemplate the possibility a little longer before actually committing to anything. At the very least, we’ll get a Rainbow-centric episode of Black-ish. 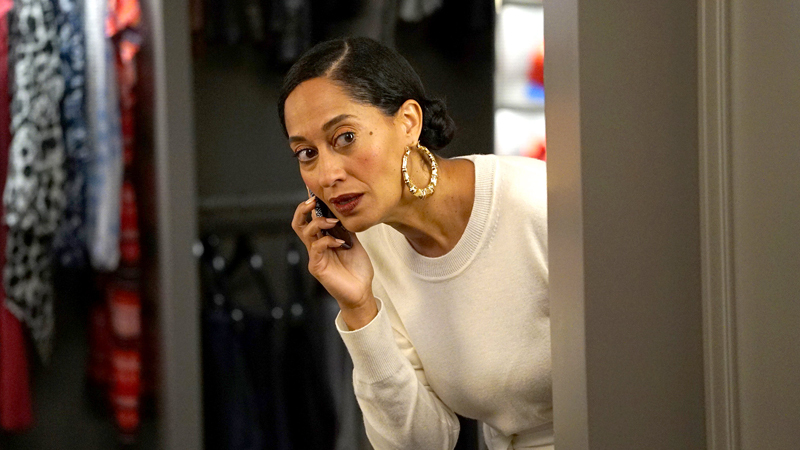 Ellis Ross’ work in Black-ish has earned the actress three consecutive Emmy nominations for Best Actress in a Comedy since the show premiered in the fall of 2014. She took home the Golden Globe for her portrayal of Rainbow back in 2017. The sitcom is currently on its fifth season, which kicked off this past October. However, like many in Hollywood these days, Black-ish creator Kenya Barris left ABC Studios for an overall deal with Netflix last year. Barris’ relationship with ABC was strained by the network’s decision to shelve an episode of the series that addressed the issue of athletes kneeling during performances of the national anthem. Black-ish airs Tuesday nights on ABC. The post ABC Considering Development of a Black-ish Prequel appeared first on ComingSoon.net.